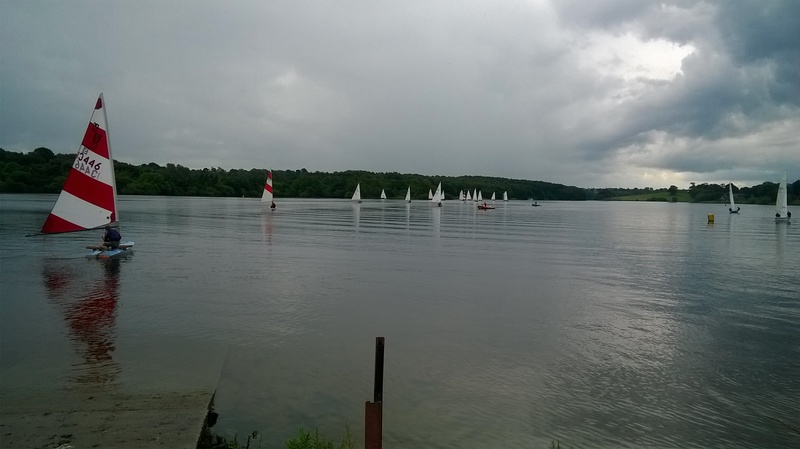 At Staunton Herald things are well organised, sailing’s only allowed when the green flag is up. And at about 6 P.M. it went up on Friday evening. For Friday evening clubsailing… How I love this and just cannot imagine this kind of discipline would get installed in clubs in Belgium. I rigged the boat and got out in the midsummer sun (and a gentle breeze) on the lake to discover it along with some other plankers, the lovely TOY playing along. Half an hour later I came back in and heard water slashing in the hull when pulling it up a trolley. Quite a lot of water in the hull there. It didn’t take a drop in Ostend or Wormer. The 760 km on the trailer between Wormer and Staunton Harold must have shaken the old hull and opened some seams. And it did fill up really good since I saw the bow submarining on the last race downwind course day two second race. Never had that with a boat before. Still it was fun to sail and not a big issue, I’ll waterproof the cigarbox. A bit disappointing it sank during a Nationals yes. 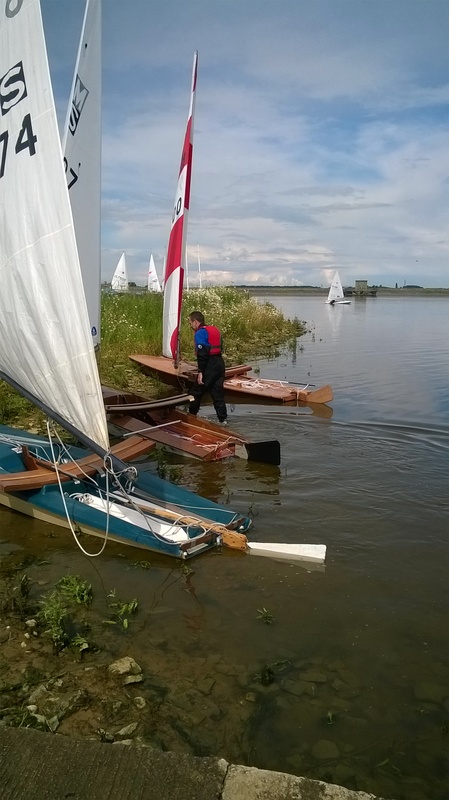 Different issue and completely my fault was losing the centerboard all together during race two of day one. The item freed itsself from the c.b. king-pin (because I didn’ secure it) and slid away trough the c.b.slot happily knocking the hull. I managed to pull it back to into place again after a while, but by then the race had ended. As also by then the wind was gone, luckily the gentle rescue-people towed me in. So really the first attempt racing the Meson wasn’t flawless, still I love sailing it, and as usual: room for improvement. 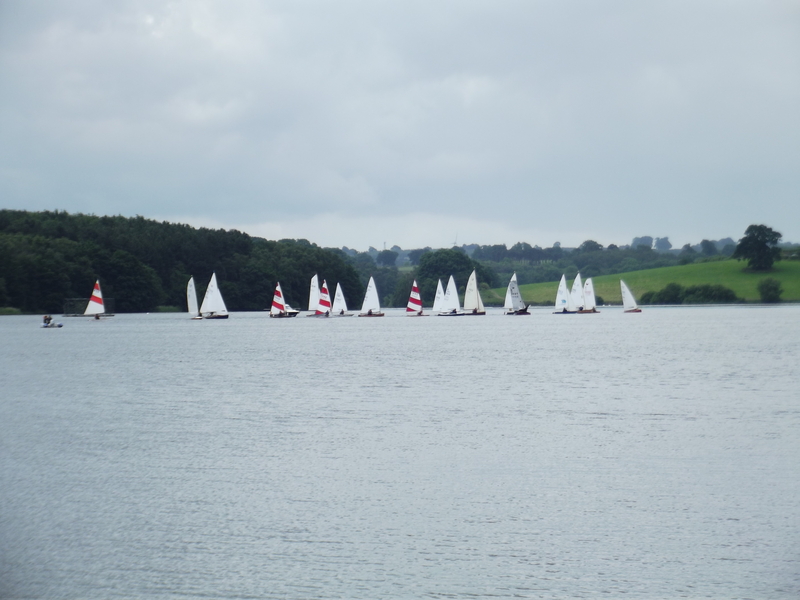 With eight sailors and eight Minisails the turn-out for the MS Nationals 2016 at Staunton Harold was ok. There were two spint MII, one Monaco MII, three wooden cockpit sprites, one wooden dished decked sprite and one Meson. . . And a Flipper, not a Minisail but a scow nevertheless. Always good to meet the UK friends again. 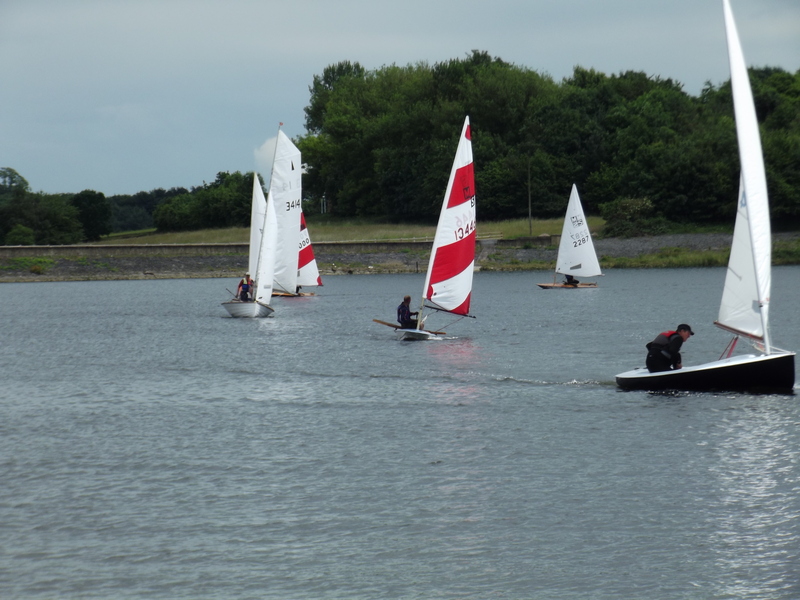 Plus, sailing among eight Minisails and a handfull of CVRDA boats (or a handfull of Minisails along the CVRDA boats, it’s relative) is a privilige and I have enjoyed every minute of it. Minus the racing but that’s a personal matter all together; Being continuously the last one in a mixed fleet where the MS is the lowest rated is no fun, boring even. Let’s see if the only single gen of competitiveness in me now wakes up and let me get a regular boat to go competition sailing in it and return next year in a MS and try again. 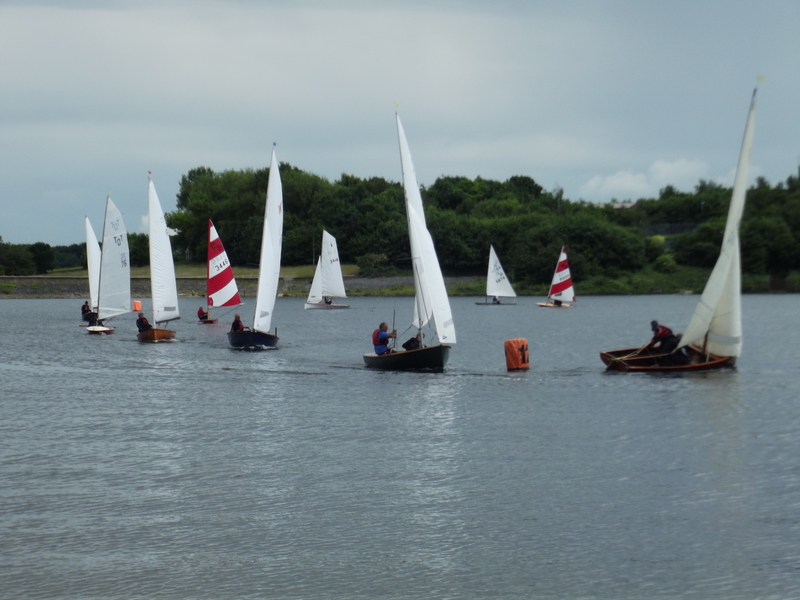 That pathetic personal rant now said it was obvious the fleet of boats at the 2016 Nationals were a representative live Minisail museum, all of them in working order -including the individual odd bits of string that go with them. A GRP dished decked Monaco was missing (I’ll bring one next year…maybe) as was a Sprint MI but Mat’s GRP Monaco made up for that. Meeting all of you was a pleasure, the AGM was significant and under time pressure since the bbq was going cold. Special mention to Chris and Sylvia who were there, our cheering girls (also thinking about trevial matters as getting something to eat: Thank you both). Thank you Jane and Peter for organizing it and taking well care of us. Thank you David and Rupert for keeping the flame alive. And yes, please Tom try to be at the Nationals with the Alpha next year, we missed you.